Who Is Beanie Feldstein and Why is She Suddenly Everywhere? After you’ve seen Lady Bird, and called your mom because you just saw Lady Bird and have to process some feelings, you might start to wonder where you’ve seen the actress who plays the titular Christine “Lady Bird” McPherson’s best friend Julie before. She’s really good — funny and shy yet certain. Lady Bird often unwittingly thrusts her off to the side, but Julie reveals hidden talents (she gets a bigger part in the school musical) and empathy (she sticks with Lady Bird, even if Lady Bird doesn’t necessarily deserve it). 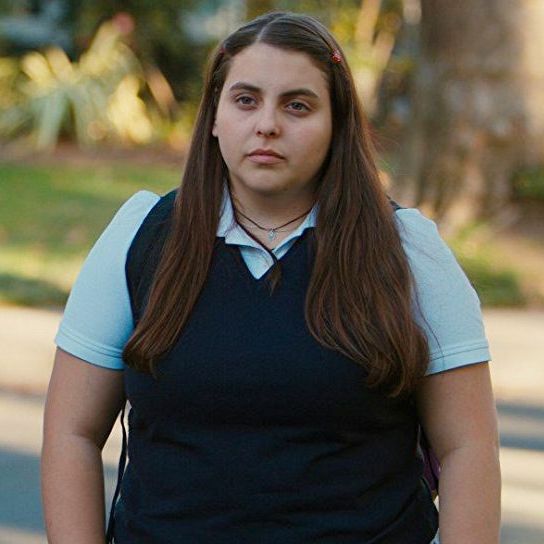 Julie is played with aplomb by Beanie Feldstein, and you might recognize her from any number of places. She’s got a famous brother. She’s on Broadway. She was in a big studio movie before. She has many famous friends. Her name is great. So we’ll now formally present a short guide to All the Places You Might Know Beanie Feldstein From (or see her next). She was in Neighbors 2. Feldstein played Nora, one of the group of girls who start their own sorority and party so extremely hard they make Zac Efron and Seth Rogen uncomfortable. She’s Jonah Hill’s younger sister. The resemblance is pretty obvious, but the names probably threw you off (Hill is Jonah’s middle name). Jonah’s about nine years older than Beanie. They also have a third, older sibling, Jordan Feldstein, a music manager. She’s currently performing alongside Bette Midler in Hello, Dolly! on Broadway. If you’re lucky enough to have gotten (or wealthy enough to afford) a ticket to see Hello, Dolly!, you’ll remember Beanie as Minnie Fay, the hat-shop assistant who gets caught up in Cornelius and Barnaby’s big day in the city. Feldstein’s totally charming in the role, and manages to steal a few scenes, which is a pretty big achievement when the Divine Miss M is also onstage. Of course, since she is on Broadway, yes, Beanie can sing. She’s best friends with Ben Platt, star of Dear Evan Hansen. Feldstein and Platt, who recently won a Tony, have been best friends since they went to Harvard-Westlake for high school, where they performed together many times. Now, as actual famouses, they appear everywhere together. Feldstein even popped up in Platt’s episode of Will & Grace (as his character’s friend over FaceTime) and in Platt’s whole disco video thing with his future DEH replacements. at 12, we met at a bat mitzvah at 14, we became best friends at 16, I gave him cufflinks to wear when he wins his first tony at 23, we are on Broadway at the same time... and he wore the cufflinks. Speaking of other Evan Hansens, Feldstein is also good friends with her Hello, Dolly! Barnaby, Taylor Trensch, who will start playing Evan Hansen early next year. If you want success as young Broadway actor, be friends with Beanie Feldstein. Her name’s not actually Beanie. I’m sorry. “Beanie” is short for Elizabeth, and was a nickname that her British nanny gave to her as a kid. The rest of us without British nannies must just stumble along with our boring, ordinary names, I guess.